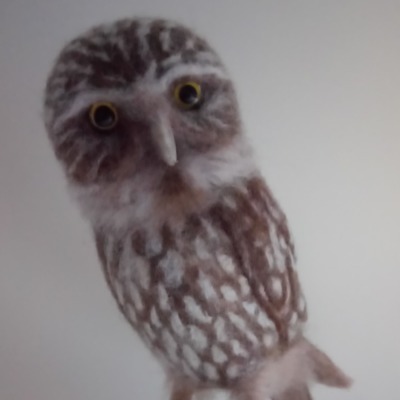 I am a designer/maker of 3D wool felt sculptures - mostly birds, animals and figures. Some life-like and some straight from my imagination. 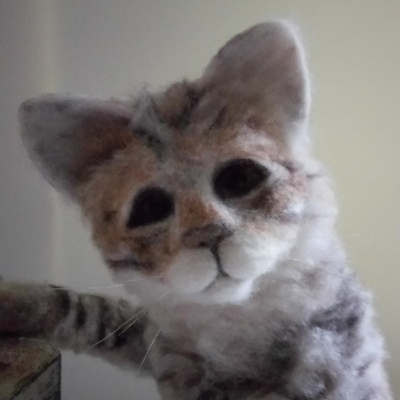 From time to time I also enjoy making felt paintings but my first love is for the 3D work. All of the sculptures are made by needle (dry) felting beautiful wool fibres to create the shapes and shading. The larger pieces are worked over an aluminium armature for strength and support. I especially enjoy making one-of-a-kind pieces which helps keep the work fresh and moving forward. Alongside the needle felting I have been developing some wet felted hanging pods which are then further embellished with needle felting and hand embroidery. Due to the large number of requests I am currently organising some hands-on workshops to share the fun with others here on the Island. Please contact me for details and dates. I have been creative all my life and been fortunate to earn my living from my crafts. Previously - for many years - I designed and made bears and cloth dolls for adult collectors and have pieces in collections world wide. I also learned needle felting during that period and incorporated it into some of my bears. 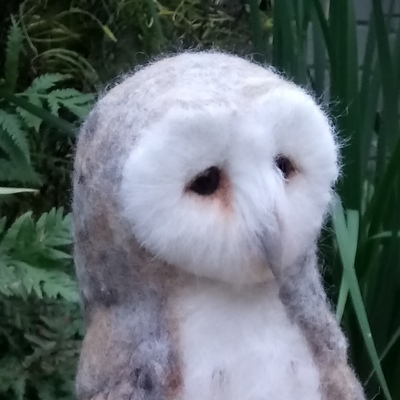 Since moving here to the Isle of Wight in 2016 I have found myself drawn back into needle felting and am really developing that work and look forwards to helping others to learn these skills.